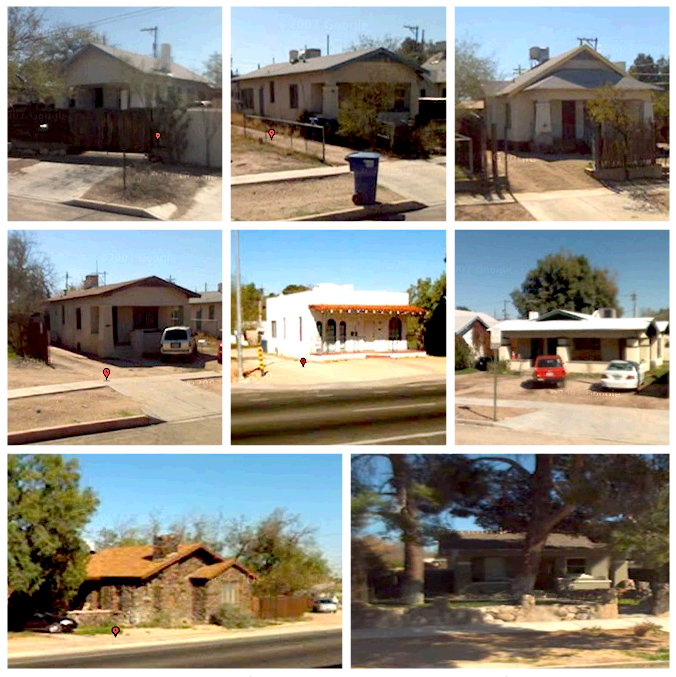 University Area Single Family Living and Tucson’s R-1 Zoning Determination – What Does It Mean? With the real estate still struggling, pressure to acquire and raze U of A area vintage dwellings and turn them into two-story rentals is pretty hot. Demolitions are common. Developers know the value of property near the U of A. Student group homes are going up as fast as they can be leased. While U of A area homeowners continue to languish, the University, conversely, has a different vision about off campus student housing. The University of Arizona has been working with private housing developers to insure appropriate off campus housing occur in the right places and is supportive of their off-campus mission, which we would all benefit from knowing more about. U of A planners see major sustainable urban housing statements along nearby edges and linkages, i.e., the street car linkage, downtownLINKS, Rio Nuevo, downtown… Yet, amidst this market battle to capture the demand for housing in the best way, the U of A’s focus also begs acknowledgment and a want for vibrant family oriented communities surrounding campus, offering something that nothing else can. Deep down, I think U of A area homeowners want the University to win this unintended fight, but sentiments continue to be loss and frustration as the counter intuitive group home phenomena seems to be going viral. Jefferson Park Neighborhood (JPNA) continues to be slammed by alleged zoning abuses and has been crying for enforcement. You can see their frustration in the Weekly’s piece, Mini-Dorm Vigil in Jefferson Park. Feldman’s Neighborhood Association (FNA) is another area hit even harder as half of the old neighborhood is effectively gone and quite a few more properties are targeted for re-development on 1st Avenue, Euclid and Helen Street, just west of Euclid Avenue. Consequently, the City of Tucson is wincing over a claim for 3.2 million dollars if FNA’s design manual interferes. After months of research, formal complaints and determination requests from JPNA, the City of Tucson responded on March 14th to an obvious question; what is R-1? The Zoning Administrator provided a bold description of what R-1 and presumably R-2 is and that is not great news for some rental uses. So, on with the battle for what constitutes a “single” family. CLICK for a pdf version of the determination. So, one must wonder, will this ruling preserve the real intended use within single family zones and how many appeals and lawsuits will it have to weather. It is hard to imagine the financial punishment this could be to all of us, but it is gathering press: Tucson Weekly: Ruling: Mini Dorms Are… , Koz & Mini-Dorms…, MIni-Dorms: Ulich vs. Koz., Tucson Citizen.com: Mini-dorm controversy, thread…, The Star: City Needs to Stand Up… The issue will certainly heat up. You can also check out Arizona Illustrated. We will keep you posted. The City of Tucson’s determination is gutsy and faces a serious test and not the least, the distinct possibility of enforcement. Albeit, a day late and dollar short, it is at least an inconvenient truth that begs action from every leadership spectrum about the future of an urban university district. Getting caught short-sighted is obvious, and the City of Tucson has its work cut out on this one. The good news is, we have a good excuse to do something. What do people want? What does the City want? What does the University want? What do stakeholders want? What can everyone agree on?… Consensus, commissions, plans, visions, manuals, community forums, incentives, enabling overlays, sub-overlays, infill districts, urban districts, and so on, always skirt around the subject of understanding housing around the University. Since, the real estate crash, city leadership has been pro-active with business districts downtown. Now its time for U of A residential zones to have a spotlight. Hopefully, a very inconvenient answer to an old problem will be a catalyst for something good to happen.